Wow, what a day! After a few days of rain/snow/sleet/clouds the sun finally came back so I decided to go for a walk. . . which turned into an epic trek across half of Manhattan. Josh was going to the east side to record some songs at a friend's studio, so I took the train into the city with him. My one and only goal for the day? To find and devour the elusive gluten-free bagel. As you may know, I have been gluten free for nearly two years (the story of why and how is long and boring and better saved for another time). So whenever we travel, eating is a top concern- I love food and one of my favorite things about traveling is discovering great local restaurants, but unfortunately I have this dietary restriction. NYC, of course, is known for many things, bagels being one of them. I used to be a huge bagel lover back when I was carbavore. But since I stopped eating gluten, my everything bagel with veggie cream cheese and sliced tomatoes obsession has been sadly put aside. I know that many grocery stores carry gf bagels in their frozen foods section, but they're not the same as the warm gooey toasted variety you get at bagel shops. And I can't bring myself to try them because I know I'll be disappointed. So last week, I found this place online that got rave reviews for its gluten free bagels as well as homemade "spreads". It happens to be in Murray Hill, near where Josh was going to record, so I woke up this morning in eager anticipation. Long story short, after a 45 min subway ride and a 10 block walk, the place was closed! The sign was still above the door, but there was paper plastered to the windows and clearly the inside was empty. No note or anything to explain what had happened! Weirdly, their website is still up, but I should have known better. I should have called ahead. So now it's noon, it's cold and windy out, I have an angry empty stomach and I'm feeling pretty sorry for myself. What to do? Luckily, this being Manhattan, there is certainly no shortage of good places to eat. Josh got on his phone and found a gf bakery a mere 20 blocks (the short ones, not the long ones) away that (sigh) don't make bagels but do make their own bread, cupcakes and a host of other gf goodies. Well, it wasn't a bad second option. The roasted red pepper and spinach panini at Tu-Lu's saved me from sinking into a deep, low-blood sugar induced, depression. Plus the ladies there were super nice, and even gave me a free bag of mini-brownies! Revived, I continued my walk from the Lower East Side across Manhattan to the west side and up into Chelsea. Chelsea is a lovely, posh part of town with lots of wonderful-looking restaurants, gourmet grocery stores and boutique stores. After aimlessly wondering around the Chelsea Whole Foods, which is amazing, I found myself growing hungry again (that panini wasn't very big, actually). 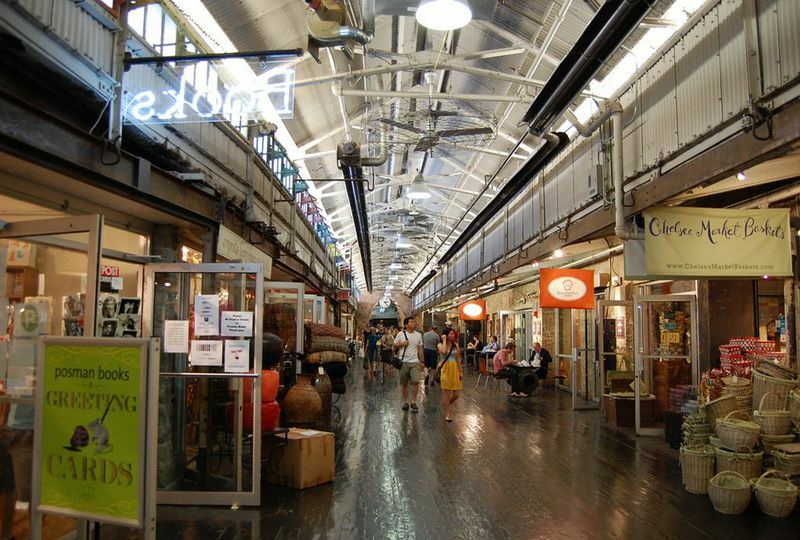 I stumbled upon the Chelsea Market and curiously followed the crowd of people pouring into it. Having no idea what to expect, I was blown away by this huge previously industrial building that has been restored as a foodie mecca. Inside there are dozens of businesses including restaurants, food stalls, grocery stores, bars, and today there even happened to be a designer sample sale going on (I bought a gorgeous Free People dress for $30!). Unfortunately, I found the whole food situation at that moment a little overwhelming, and growing tired after my long walk I decided to just grab a snack (mixed nuts and a coconut water) and jump back on the Brooklyn-bound train. Hopefully, there will be time, however, to go back to the Chelsea Market in the next couple weeks, and time to find a decent gluten free NYC bagel. . . 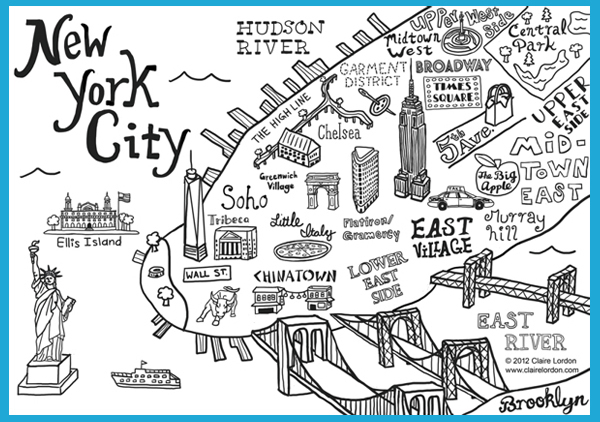 But our month-long NYC experiment is more than half over and there are so many great food places still to discover!